Andrew Cairns, Thursday, 7th February 2019 - If more people around the globe chose to spend at least some of their income buying goods and services from for-good businesses, it could make a big impact, writes Andrew Cairns, CEO of Community Sector Banking. Andrew Cairns, Tuesday, 22nd January 2019 - Community Sector Banking CEO Andrew Cairns considers how Australia’s tidal wave of generational change will affect leadership in the nation’s charity sector. Andrew Cairns, Thursday, 6th December 2018 - The latest Rental Affordability Index paints a bleak picture for single parents who are renting, writes Community Sector Banking CEO Andrew Cairns. Andrew Cairns, Thursday, 1st November 2018 - Social impact investing is already a $23 trillion global industry, but more still needs to be done to make it easier for people to ethically invest in the future, writes Community Sector Banking CEO Andrew Cairns. Andrew Cairns, Thursday, 4th October 2018 - The rise of impact measurement is making the playing field for funding increasingly unfair, writes Andrew Cairns, CEO of Community Sector Banking, which has partnered with the University of Technology Sydney (UTS) to build a free Social Impact Measurement Toolbox. Andrew Cairns, Thursday, 6th September 2018 - Andrew Cairns, CEO of Community Sector Banking, reveals the secret to making grant applications stand out. Andrew Cairns, Thursday, 2nd August 2018 - Community Sector Banking CEO Andrew Cairns offers his advice for not for profits to win over audacious philanthropists. 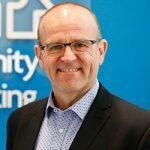 Andrew Cairns, Thursday, 5th July 2018 - Community Sector Banking CEO Andrew Cairns offers three things not for profits can do to build trust and donations. Andrew Cairns, Thursday, 7th June 2018 - Impact measurement is something everyone in the not-for-profit sector needs to get to grips with, writes Andrew Cairns, CEO of Community Sector Banking.